Ahoy, mateys! 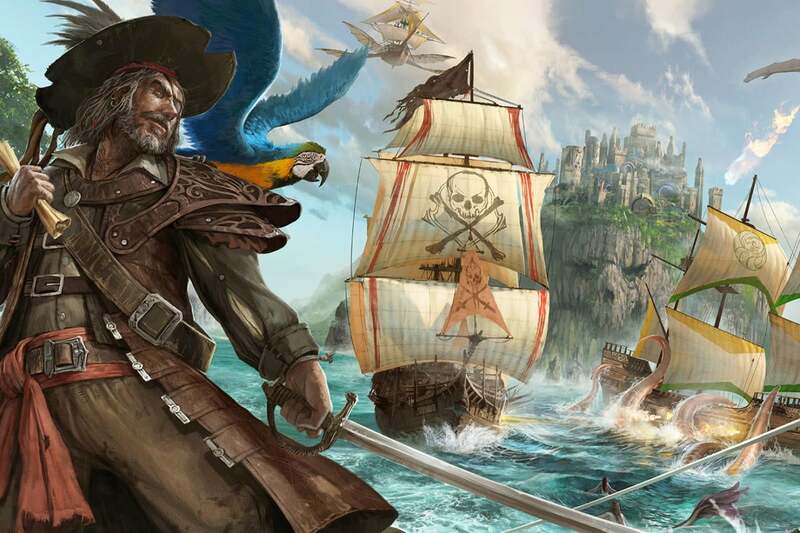 For today’s Player Ready gaming livestream on PCWorld’s Twitch and YouTube channels at 12:00 p.m. Pacific, PCWorld’s Adam Patrick Murray and Macworld’s Leif Johnson will be sailing the seven seas in the piratey survival MMO Atlas. Nor is this a humdrum noobie show where you end up watching someone punch trees and rocks for an hour. Leif and guest Joseph Bradford have been playing Atlas since its Early Access launch on December 21, and they already have a ship ready to go for a morning of treasure hunting, sailing, ship battles, and swashbuckling with zombies. This stream will give you a better idea of what to expect from endgame (such as it is). As you might recall, Leif wrote an account of his experiences with Atlas earlier this month and his impressions weren’t exactly favorable. His crew’s circumstances have improved, but a barrage of wonky patches continue to make Atlas a far more harrowing experience than the developers (hopefully) intend.